Jeff could sing the phone book and make it enjoyable, but this is by far one of his most mature and personal solo albums I believe he has recorded, and will hopefully get a wide audience for it. This album is more than retribution and revolution. It is also redemption and a message to the world that Jeff Scott Soto is back and ready to take over the world. You can count on that! This record has everything one could hope for from JEFF SCOTT SOTO: tracks that are energetic, powerful, and driven along with a few ballads that showcase his soulful, melodic voice. As stated earlier, Jeff is a man with many talents, and this album is no exception. Full of character, emotion and is utterly captivating from its skin to its very soul. 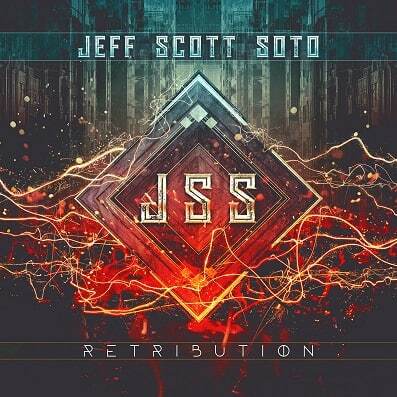 This past Friday saw the release of the highly anticipated new studio album from Jeff Scott Soto, ‘Retribution.’ In celebration of the album’s release, Soto has released a new video for the album’s title track. Watch it HERE. Buy or stream the album here: http://radi.al/Retribution. Watch the video for “Feels Like Forever” HERE. 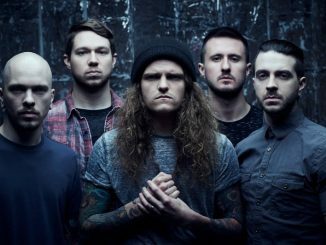 Watch the lyric video for “Inside Outside” HERE. Jeff Scott Soto‘s career spans over 30 years. He was first introduced to the public as the vocalist for guitar virtuoso Yngwie Malmsteen’s iconic first two solo albums before going on to front the esteemed hard rock band Talisman. He is also one of the vocalists for the wildly popular Trans-Siberian Orchestra, the lead vocalist for supergroup W.E.T. 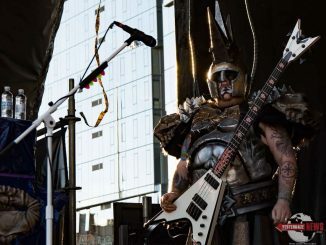 (featuring JSS alongside members of Eclipse and Work Of Art), creative visionary for the more metal leaning SOTO, and frontman for the new supergroup, Sons Of Apollo (which also features Mike Portnoy, Derek Sherinian, Bumblefoot, and Billy Sheehan) amongst many other musical activities he has been and is involved in. 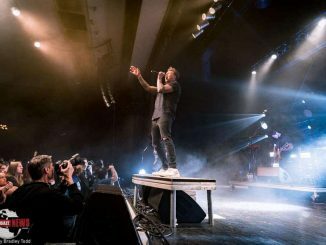 He also held a stint fronting Rock N Roll Hall Of Famers Journey and was one of the vocalists for the officially sanctioned Queen tribute, Queen Extravaganza. His incredible voice has led to many invitations to do guest lead or background vocals on a multitude of albums, including, but not limited to Stryper, Joel Hoekstra, Saigon Kick, Fergie Frederiksen, Lita Ford, Steelheart, and many more. In 1994, he released his first solo outing ‘Love Parade’, followed by the acclaimed ‘Prism’ (2002), ‘Lost In The Translation’ (2005), ‘Beautiful Mess’ (2009), and ‘Damage Control’ (2012). ‘Retribution’ is his sixth.